The Bitterroot River is the dry fly anglers paradise. You would be hard pressed to find a more picturesque freestone river in the country. 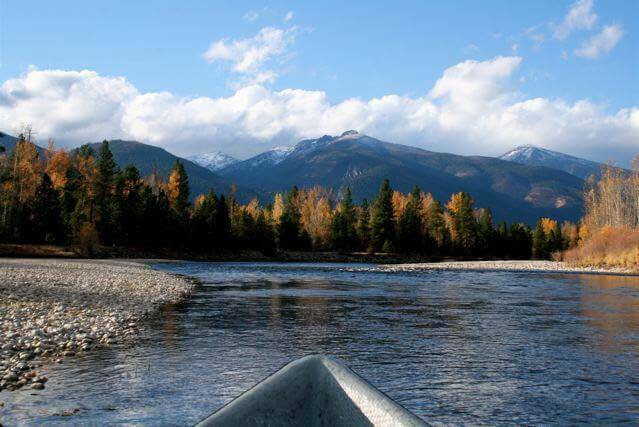 The river is framed by the Sapphire Mountains to the East, and the stunning Bitterroot Mountains to the West, making the perfect backdrop for a day on the water. A day of Bitterroot River Fly Fishing is a day spent in a mixed bag of riffles, deep pools, and grassy banks, making The ‘Root some of the best dry fly water in Montana. Fishing Access Sites are spread throughout the valley, and during normal summer flows the wade fishing opportunities are plentiful. Strong Rainbow Trout, Native Westslope Cutthroat Trout, and aggressive Brown Trout eagerly await your fly in perfect “Trout Water”. A day of Bitterroot River fly fishing is one you are not likely to forget.